This year's Setanta Sports Cup has been cancelled. The 2015 Setanta Sports Cup has been cancelled after suitable dates for this year’s competition could not be agreed. 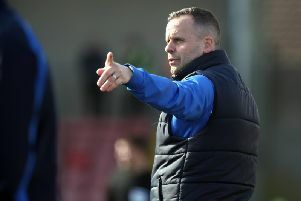 Glenavon and Crusaders had both raised concerns over the prospect of playing midweek quarter-finals at the end of June. Last week’s draw was cancelled as organisers looked to find suitable arrangements, and now the competition itself has been shelved for 2015. Milo Corcoran, Chairman of the Setanta Sports Cup committee, hopes the all-Ireland tournament can be resurrected next year. “Over recent months, we have been trying to find dates that can work for the broadcaster, the IFA clubs and the FAI clubs,” Corcoran said. “Unfortunately, despite the best of intentions, it has not been possible to do so, even if I felt we were close to achieving agreement with all of the clubs required at one stage. Crusaders, Glenavon, Portadown and Glentoran were set to represent the IFA this year, with League of Ireland clubs Dundalk, St Patrick’s Athletic, Cork City and Shamrock Rovers featuring under the FAI banner. The quarter-finals – played over one leg – were planned for June 20-24 with every game to be screened live on television. Glenavon chairman Adrian Teer had raised concerns over the prospect of his club having to travel to Cork on a Monday night, while Crusaders also shared the same reservations over travelling long distances in midweek.